And that's exactly what I'll show today in fun video format! Fortunately I've got the help you need because I don't want anything to come between you and a good meal, even on FODMAP. In the video below (from my weekly Wednesday Facebook Live broadcasts! ), I walk you through the menu at Maggiano's Little Italy, an upscale chain in the U.S. They serve the kind of classic Italian-American dishes you'll find at countless Italian restaurants, so this applies no matter where you go. >>>But that's not all: I have two bonus videos for you on how I'd order at a non-traditional Italian restaurant--let's do this! 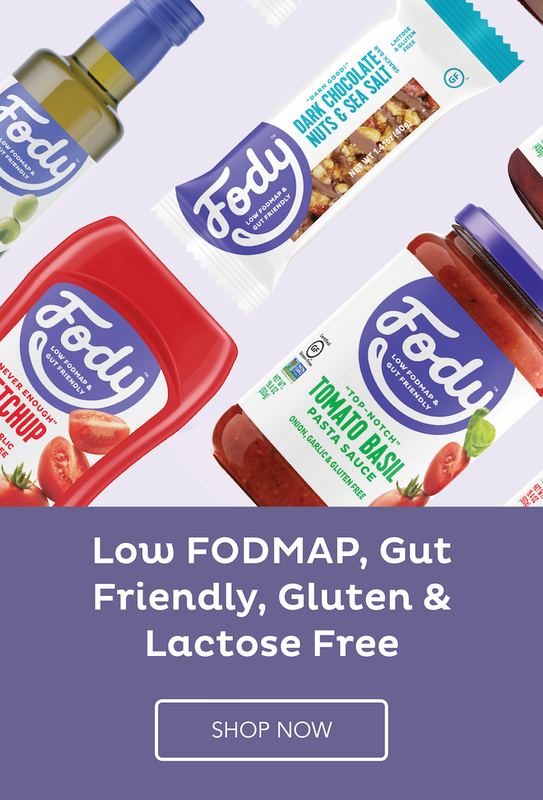 Know the facts about what constitutes a low-FODMAP (not NO-FODMAP) diet. For example, it's okay to eat small portions of high-FODMAP foods like white bread. Of course, different restaurants won't always cook a dish the same way, and asking questions (and ordering what YOU are comfortable with) is the biggest key of all. I've got two more bonus videos talking about what I'd actually order at one of my favorite Italian restaurants in Chicago. Their menu features more modern/creative Italian cooking, if that's more your style. Video #1 is all about what I would have ordered when I was eating low-FODMAP (so, during the elimination and reintro phases). Video #2 reveals how I order now that I'm post-FODMAP diet. If you're wondering just how much easier/better/delicious life can be after you learn your trigger foods, this video shows you the difference! Learning your specific trigger foods (and the portion sizes of those triggers foods that you can tolerate) is the key to restaurant freedom. When you're not always avoiding every single FODMAP food, you don't have to feel like an alien creature with a bizarre, hard-to-explain diet. Check out my Health Coaching programs to bust out of food prison! To learn even more, click to read Top 5 Myths About Reintroducing FODMAPs!